Methyl orange indicator. 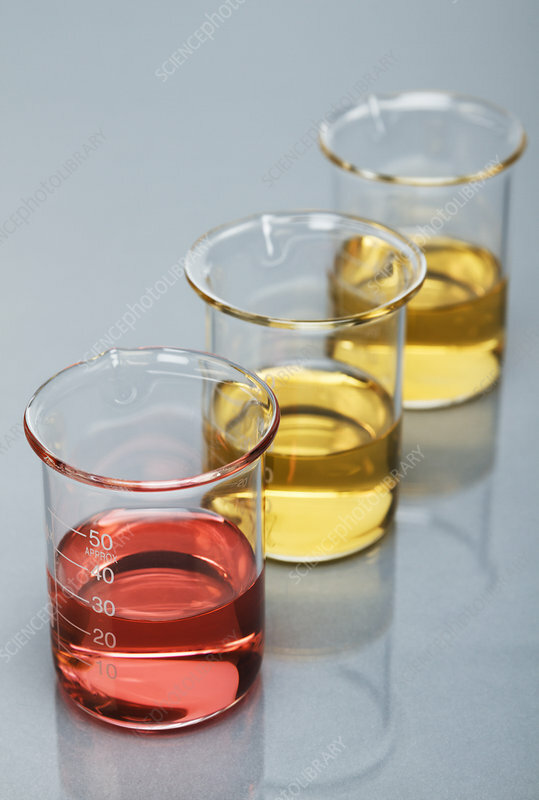 Methyl orange indicator changes its colour depending on the pH of the solution, it is red below 3.1 and yellow above 4.4. Here methyl orange is added to beakers with different solutions. Front to back: acidic (0.1 M hydrochloric acid, HCl), neutral (pH=7 buffer solution), alkaline (0.1 M sodium hydroxide, NaOH).